College used to be affordable. 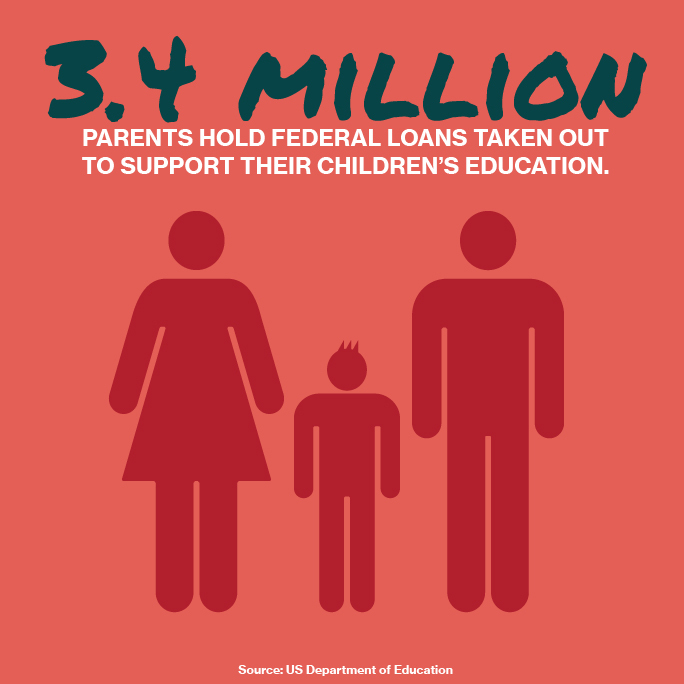 Now, 44 million Americans are caught in the Student Loan Trap. 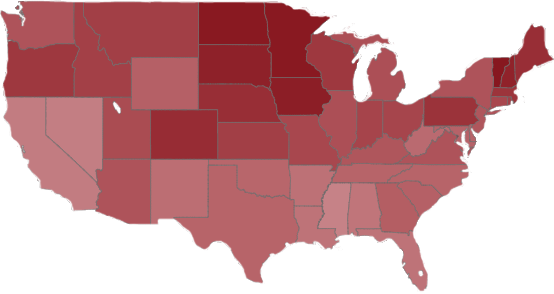 We have calculated a student debt burden score for every state and congressional district in the country. Click the map below to find the scores. For many years, this nation invested in young people – and in its future – by providing a low-cost or tuition-free college education to everyone willing to work hard and succeed. Then this investment was slashed. In its place, we convinced people to borrow for their own education by promising them prosperity and advancement. It was a trap. Now 44 million people are imprisoned by student debt. They’re the victims of a failed social experiment – and our broken promises. 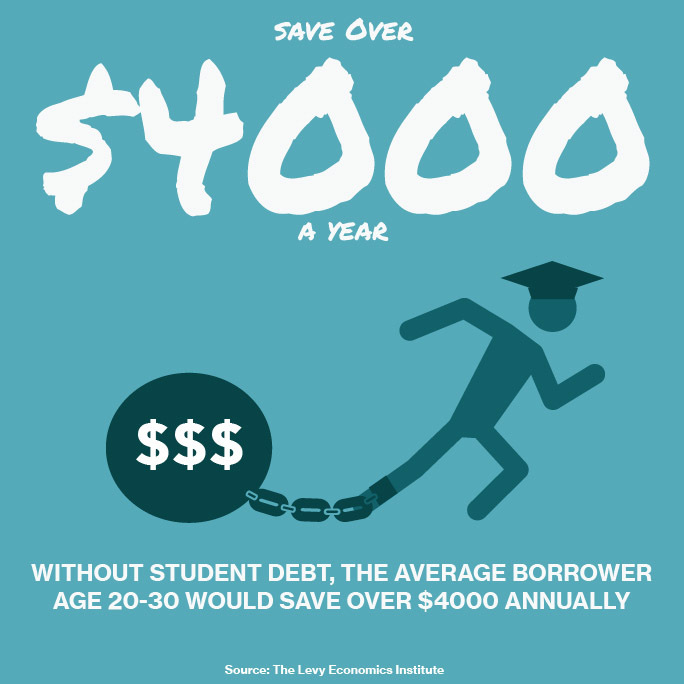 It's time to end the student loan trap and give them their freedom. We, the people of the United States, own most of this debt. We can cancel it. We can also ensure that future generations have access to tuition-free college education, so they aren’t caught in the Student Loan Trap. 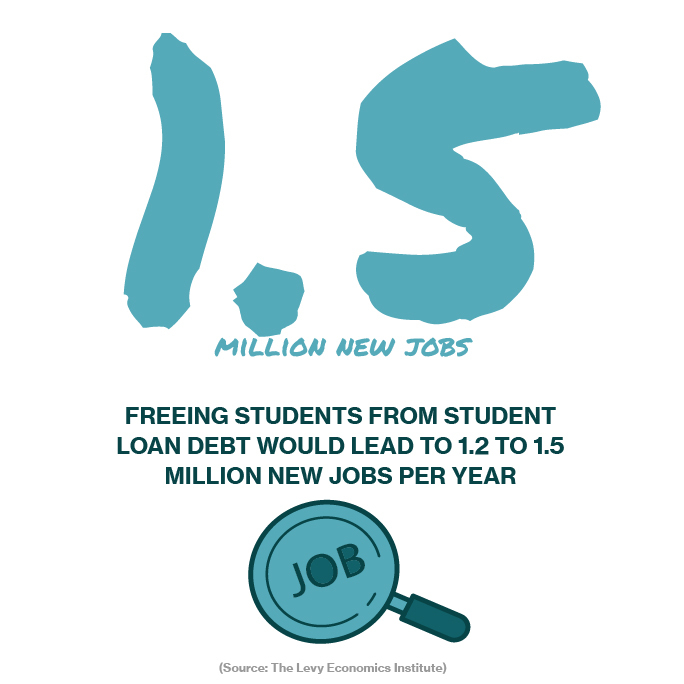 Ending the Student Loan Trap will grow the economy and create millions of jobs. 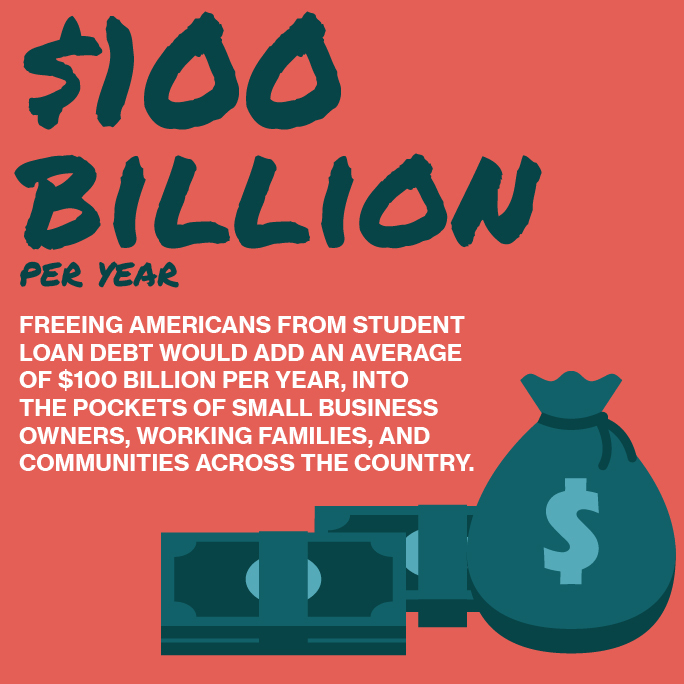 A new study shows how we can unleash massive economic potential by canceling unfair student loans and freeing the 44 million. The tens of millions of people imprisoned by debt will be free—free to buy homes, serve their communities, start families, and invest in the future. Here’s how much better off we will be, once our nation is free to prosper without student debt. We come from every living generation, from every income level, and every walk of life. We are Americans who want to renew the sense of national community that tells us we are all in this together. We are working to free 44 million people from the student loan trap so that, together, we can build a better and more prosperous future for all.